Long has it been a myth, that the increase of women’s participation in paid jobs leads to women’s economic empowerment. Evidence shows that this belief can be very problematic. Instead of paid work, the concept of decent work is believed to be the key to women’s economic empowerment. 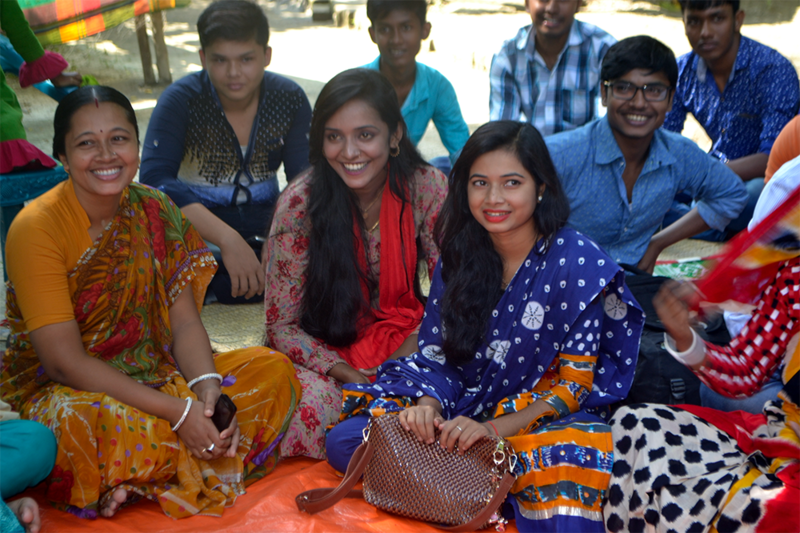 In Bangladesh, 18.16% of the total population is made up by youths age 15-24. However, only 42% of the youth labor force is involved in economic activities. Young women, in particular, are unable to make use of economic opportunities. Recognizing this fact, the government of Bangladesh has set up a national target to train and educate students, especially female students, aiming to equip them with vocational skills and expand their labour force participation. In order for women to contribute more, than they do currently, to the national development. However, this approach neglects the fact that paid work and employment cannot deliver change for individual women facing multiple forms of discrimination, which can be social, political as well as economic in nature. Thus the strategy is not sufficient to deliver change for women as a collective marginalised group. So, what do we really need in order to achieve women’s economic empowerment? The feminist theory and youth rights perspective may give us the answer. According to feminist theory, women’s economic empowerment refers to the ability for women to enjoy their rights to control and benefit from resources, assets, and income. In addition, it should allow them to have their own time, manage risks and improve their economic status and well-being. Women’s economic empowerment is not just about paid work (income), it is about having control and benefit from the resources and improving their well-being, in another words, it’s about decent work. The Empower Youth for Work Project (EYW) - working in Bangladesh, Pakistan, Indonesia and Ethiopia – carried out a Baseline Survey, focusing on the economic and overall empowerment of women and men in rural climate-affected areas. The survey shows that there are multiple reasons preventing young women from getting decent jobs. Firstly, the study shows that young women have less agency compared to their male peers. They are clearly less comfortable than men in all aspects of empowerment and voice related to agency. Especially in speaking out to duty bearers within their communities. It is also shown that people with lower level of agency, are also likely to have lower skill levels and are less likely to feel confident setting up a business. Secondly, there is significant gendered differences in terms of preference of jobs and trainings. Whereas nearly half of the young women in the study were keen to learn technical skills, related to the traditional female-dominated jobs. When it came to young men, only 1% of the surveyed were willing to learn a similar skill. In contrast, for traditionally male-dominated jobs such as electrical installation, maintenance and modern ICT, one-third of young men were willing to learn these skills, versus 1% of young women. These gendered preferences stem from pervasive social norms, as well as lower levels of agency among women. Thirdly, the existing gendered economic, cultural, and social realities limit the agency of young women, reinforcing the existing barriers that keep them restricted to traditional gender roles. This means that young women are unable to achieve real economic freedom just by earning income. As a consequence, they are mostly trapped in low-paid positions and cannot hope to achieve a sustainable living. Not to mention any greater transformational change in the areas of physical and social mobility, experiencing gender-based violence, and communal and political participation. Understanding that women’s economic empowerment is about decent work instead of paid work, the EYW project has adopted a holistic approach which puts empowerment and youth-led models at the forefront. Oxfam is working with local partners to increase young women’s agency, capacity, and soft and technical skills to empower them as active citizens who are able to find or create sustainable jobs. Through our partners, young women are receiving training in soft skills – including self-efficacy, leadership capacity, gender equality and SRHR – as well as selected technical and entrepreneurial skills based on a detailed market assessment. It is of great importance to recognize, that focusing only on the economic aspects of empowerment is too limited. That narrow focus fails to address the social norms and structural power relations that keep young women poor and distanced from genuinely profitable paid work. 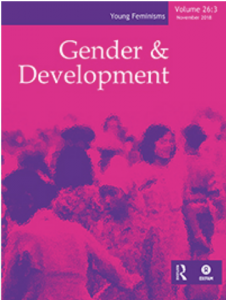 The full article is published in the journal Gender and Development, a collaboration between Oxfam GB and the publisher Taylor & Francis. The full version van be found here.